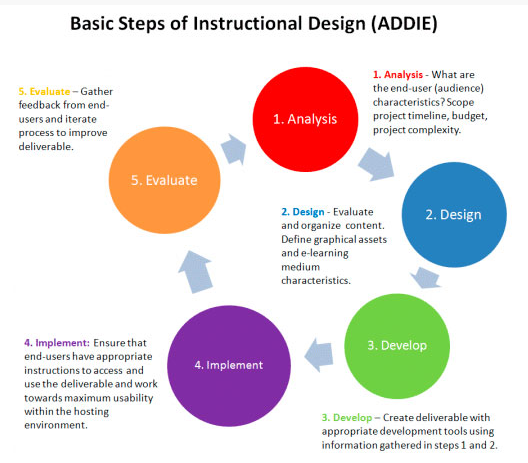 We apply methodical process (ADDIE) to help you meet your business objectives. We will design your training curriculum and classes, convert your instructor-led classes to online format, design your workshops, create job aids, even train your trainers. 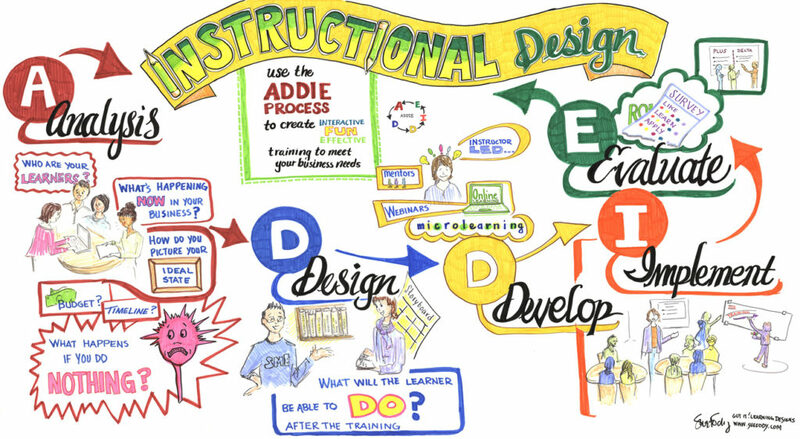 We are a full-service instructional design company. Who are you? Who are your learners? What’s happening now? What’s your vision? What kinds of technology are you using? What problems are you trying to solve? How can we best partner and help? We create an analysis document. We discuss- collaborate – agree. What do you want your learners to DO after they experience this training? How will the training be supported after the formal event(s)? We partner with your subject matter experts and examine your existing documentation. Our training designs incorporate adult learning principles and accelerated learning techniques. We believe training is active and engaging. We design for classroom training, webinar, eLearning, self-paced, workshops. We create a detailed storyboard. We discuss- collaborate – agree. The training design will transform into documents you can use or online format. We discuss- collaborate – agree. We will train your trainers or train your learners. Was it effective? How can your organization support the training after the event? Did your learners get it? We’ll help you implement a feedback loop to listen to your learners and improve the course over time.